Around 5000 hectares of diverse terroir, mainly tuff, riolit, loam, shale and other volcanic soils, cool temperature, little rain characterise the region. Cultivation of vine stretches back to the Middle Ages. 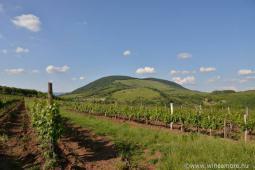 The uniqueness of the Eger wine region has always been its ability to grow grapes capable of producing quality red and white wines. Egri Bikavér, Bull's Blood” is a Kékfrankos (Blaufrankisch) based cuvée, a blend of three or more grapes is beyond doubt the most known wine of the region. Even to mention Egri Bikavér as a connoisseur’s choice is a sensitive topic, due to its disputed image. Winegrowers invest a lot of time and money for repositioning the brand. There are some high quality examples from the recent vintages. 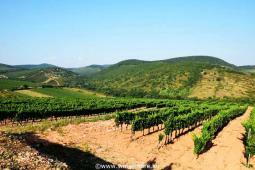 Besides Kékfrankos the most significant red grape varieties include Pinot Noir, Cabernets and Kadarka. Although primarily known for its red wines, white grapes have always been cultivated here and the surrounding region; until the early 16th century, the region was dominated almost exclusively by white grape types. 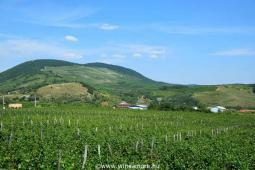 Recently almost 50% of the vineyards is planted with white grapes. Hárslevelű, Olaszrizling and Leányka are the most popular autochthon grapes, however you may find some really tasty, “trendy” Chardonnays as well. There is a new region brand, Egri Csillag (The star of Eger) which is a uniform blend of white grape varieties.